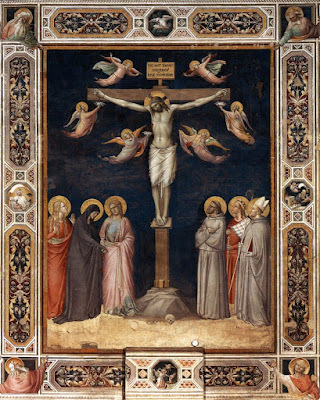 Consider thou also, o man that art redeemed, Who it is that hangeth for Thee upon the Cross, how great He is and what is His nature, Whose death giveth life to the dead, at whose passing both heaven and earth mourn, and the very stones are cloven as if it were in their nature to suffer. O for the heart of man, that art harder than the hardness of any stone, if at the memory of so great an atonement thou art not struck with terror, nor moved to compassion, nor rent unto remorse, not softened with devotion! 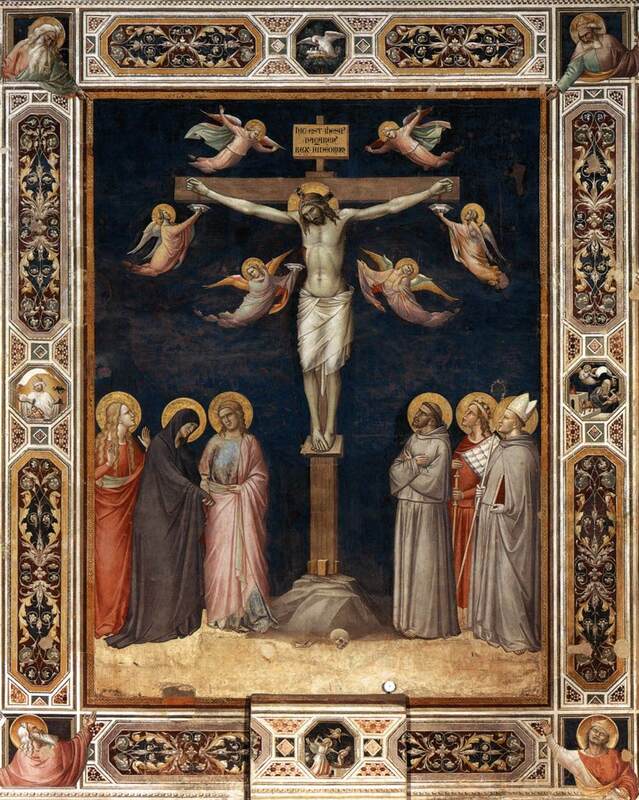 The Crucifixion, by Taddeo Gaddi, ca 1360; from the Sacristy of the church of the Holy Cross in Florence.